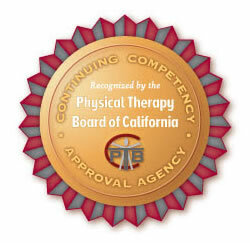 The California OT board requires OTs and OTAs to complete 24 hours of CE courses to qualify for license renewal. At least half of these hours (12) must come from CE courses directly related to the practice of Occupational Therapy. The remaining 12 or fewer hours may focus on other topics outside of practice techniques and skills. The renewal period during which the 24 hours must be completed is two years. The specific deadline is unique to each practitioner as it is based on the date of their license. One hour of continuing education is considered equal to 60 clock minutes, and up to 6 hours may be carried over if more than the required 24 hours is obtained during the renewal period. The OT Association in California also requires practitioners to keep record of their courses for at least four years, so don’t lose track of your certificates of completion!